It’s time for a Row80 update. Granted not much progress has been made since Sunday, but here we go anyway. Writing: The third week slump seems to be in full swing. Finding time to write is getting harder the closer Thanksgiving gets. Submissions: Start submissions October 22 Nov.1, send out 2 a week the rest of the round. Stop laughing….think positive. Nada. Try again later. I’m not beating myself up over my progress. I do have a life and I have made more progress writing than I thought I would. How are your goals going? Is the upcoming holidays causing you chaos? It’s time for Row80. Make sure you read what the rest of the Row80s are doing. Writing: I’m rather shocked at how my progress for NaNoWriMo has gone. I’m waiting for life to bring it to a halt in a week. If I make it to 30K I will consider myself a winner. I should reach 25K today. Each day I have less and less time to write because of the upcoming holidays. We’ll see. Submissions: Start submissions October 22 Nov.1, send out 2 a week the rest of the round. Stop laughing….think positive. I sent out only 1 this week. I did order a book of agents so maybe I’ll make more progress. No coffee today,yet. It’s a Irish Breakfast kind of morning. Writing: The first full week of Nano has just ended. Read below for more on that, but I am at 13,540. Yea! Submissions: Start submissions October 22 Nov.1, send out 2 a week the rest of the round. Stop laughing….think positive. Been busy writing so no news here. Nice progress on my goals, I do need to send out more queries. Like I said the first full week of NaNo has passed. I am proud of my progress, 13,540 words. My goal isn’t 50,000. I will be thrilled to reach 30,000. Mid-November will be the true test of my endurance. I work well in short spurts. I can allow for 2 hours of writing, anything more than that and I start wondering about household responsibilities. I accomplish more in the hour and a half before work than I do on full days off. Getting up early is a waste of time. My brain doesn’t function before 7:30 am. Pass the coffee and be quite, I’m watching the lights on the Christmas tree. Day 6 was a killer. I had planned on a full day of writing. Hah! It was like pulling teeth. The small word count I had was hard fought. I stopped early and went Christmas shopping, that was much more productive. There you have it. The first week of NaNo. Can’t wait to see what week 2 holds. Have good week. How are your goals and/or NaNoWriMo going? To Have a Gun or Not…. Taking a different direction for a blog post today. As you may know, I live in the Deep South. Guns are fairly common. Most men, and some women, hunt on a regular basis. It really cuts down on the grocery bill! I grew up around riffles and shotguns, I was taught from a very young age not to touch them, they were kept looked up and away. When I was in middle school my father took me to my grandfather’s house and taught me to shoot his first rifle. More than anything from that day, beyond hanging with my Dad, I remember the nasty kick it had and the painful bruise it left. I’ve never felt the need or desire to hunt and I really don’t like the taste of wild game. For the most part, rifles and shotguns were the weapons I grew up around and there were very few accidents caused by guns. For the most part…. but then there’s always that one person who thinks rules and safe practices don’t apply to them. My best friend through most of my childhood was shooting fireworks New Years Eve. Her older brother decided to shoot straight into the air in celebration of the new year. That’s bad. To make it more fun, he had a few beers first. That is also bad. My poor friend ended up in the emergency room with a bullet in her buttocks. Needless to say, as 12 year olds, we had a lot of fun with that. I’m sure that tale will end up in a story one day. Only idiots shot straight up in the air. Gravity does still work. Drinking and guns never mix. Shooting at night is bad, I think in most areas it’s even illegal. Shooting in residential areas is illegal. The older I get the more I hear about hand guns. I never saw a hand gun until I was almost 30, no one I knew had one. Except cops. I’m not a fan of hand guns, you don’t use them to hunt so what’s the point. For the most part, I associate hand guns with thugs and paranoid city slickers. Not too long ago, I was at a Guild meeting. I was the youngest woman there by 15 – 20 years. We were sitting around talking and some how the conversation switched to guns. I was shocked to learn that the majority of blue hairs sitting around that table were packing heat. I made a mental note to call before I show up at their house at night. Why am I bringing this up? Good question, it sounded better in the car. I’ve joined NaNoWriMo. If you don’t know what Nano is go to their website. The point is to sit down and get your novel written. 50,000 words in the month of November. 50,000 words sounds like a lot of words. But like an elephant, let’s break it down. There are 30 days in November, that means I need an avg. of 1,667 words per day. That’s not that much. On avg. 250 words fit on a page. That means 1,667 words equal to about 7 pages (double spaced). I’m counting on perfect days here, not real ones where work and family require my full attention. Don’t get nervous. Let’s think it through. I’m not talking about 7 perfect pages, formatted, spell checked, and edited. I’m talking about 7 pages of solid writing. Writing without looking back and questioning what you’ve already put on the page. Writing sessions marked by getting your stuff together and putting your backside in the chair and just write. The idea is to get the story down on paper. Now, that kind of intense writing will not happen on it’s own. Full disclosure, I’ve never actually finished NaNo. I’ve only attempted it once, and one summer camp session. 🙂 There is a bit of work that must be done before you sit down in the chair Nov. 1. At least I need a plan. Get to know your characters. Check. My NaNo project is book 2, to the book I just edited. Most of my characters have migrated over. I did have to come up with a handful of new characters and pulled a minor character up to the big leagues. I’m sure new faces will pop up when I start to write, I’ll face that monster when I have to. Plan your book. Obviously, if you’re a pantster skip this step. I created a cross between an outline and a flow chart. It covers a little back story and the highlights of the book. There’s enough wiggle room to add necessary scenes as I write. It’s more of a guide to help me write. Research. I don’t know what your story is about, but mine had me doing quite a bit of research. I have sites/articles pinned on Pinterest, I have printed out sheets in a folder, I even have websites/groups bookmarked. As long as the FBI understands I am a writer, all should go well. I don’t want to stop mid-writing session to look up how long a person has to live after being stabbed in the kidney. Now, after all the ‘real’ work is done. I still have a little housekeeping to take care of before I type in my first 1,667 words. Chocolate. Dark, Milk, Semi-sweet I don’t care, I love them all. I have a stack of Halloween candy, that may or may not actually make it to the little Trick-or-Treaters. Of course, my kids will have plenty to share. I know from marathon quilting sessions that a sugar rush is essential. Having them close at hand keeps you in the chair longer. If you get up, there’s a greater chance that the word count won’t be met. Snacks. This goes with the above. Small snacks that can be eaten without too much mess. You don’t want the keyboard to get sticky. No candy apples….or spaghetti. Music. Make sure you have your music set to shuffle and keep them coming. You don’t want to get up and change the record…or CD. Another hint- Turn off the phones and social media notifications while you are writing. The less outside distractions the better. So there you go. That’s my plan for NaNoWriMo. Let’s jump over and look at my Row80 goals. Writing: I am toying with the idea of NaNoWriMo. Even though I know I can’t reach the 50,000 word goal. I enjoy the fun and sprints. Summer camp with NaNo was lots of fun. Anyway, I’m almost finished editing my WIP, that will leave me more time to write. Knowing how much time I have, I’m starting small, 3,000 words a week. This starts after I finish editing. Look me up at NaNoWriMo I go by Writechik. See the above. I am ready….I think. Submissions: Start submissions October 22 Nov.1, send out 2 a week the rest of the round. Stop laughing….think positive. No new progress. There we go. How’s your prepping for NaNo? How are your goals? I’ve decided I like playing with reading Meme’s. It’s fun to read what others are reading,a s a writer I think that’s important. So today I am joining in on WWW Wednesday as well as ROW80 updates. MizB at Should Be Reading has another fun one to try. To play along, just answer the following 3 questions and then go to the blog above and leave a comment. Easy Peasy. 1. What are you currently reading? 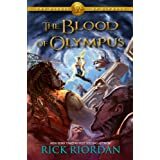 The Blood of Olympus by Rick Riordan. I’ve read all of the books in this series, love them all. 2.What did you recently finish reading? 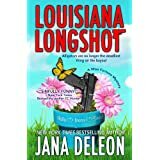 Louisiana Longshot by Jana Deleon. This is the funniest book. Very Southern. Bought the second in the series. 3. What do you think you’ll read next? 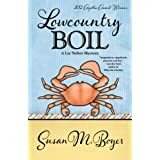 Maybe, Lowcountry Boil by Susan M. Boyer or Outlander or The Turn of the Screw. My kindle makes it hard to decide. Writing: I am toying with the idea of NaNoWriMo. Even though I know I can’t reach the 60,000 word goal. I enjoy the fun and sprints. Summer camp with NaNo was lots of fun. Anyway, I’m almost finished editing my WIP, that will leave me more time to write. Knowing how much time I have, I’m starting small, 3,000 words a week. This starts after I finish editing. Not yet. Editing: Finish editing my WIP, Dead in the Water. Finish edits by October 21. Edited 15 pages. On track. I accomplished a little editing before work yesterday. hope to do more tomorrow. I can actually see being finished by the 21st. Submissions: Start submissions October 22, send out 2 a week the rest of the round. Stop laughing….think positive. Not yet. Social networking: This is the hardest. I am bad at just liking a post or a tweet and leaving. So my goal for this is to respond more to blog posts, even reblogging, and be more involved on twitter. That’s not measurable. Comment on 3 blogs a week. I’ve done quite well with this, this week. Blogging: Have 2 nonRow80 blog posts a week. Check. I think I’ve done fairly well. How did you do?